All things Yen and mummy!!! : World book day drama!!!!! All things Yen and mummy!!! 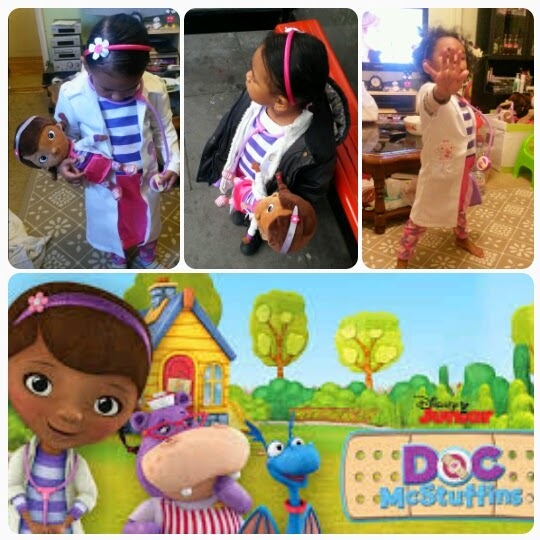 Today was world book day and Yen wanted to be Doc McStuffin. When we went to the Disney store I thought she would of went straight to the Princess dresses but I was wrong. Trying to get her hair like Doc was a bit tricky seeing as Yen loves to move her head in every direction possible. When Yen was ready I took soooooo many pictures on my phone she just looked too adorable. When we got to nursery Yen got many compliments and she was clearly loving it!!! As I looked around most of the over 3s boys were action heros and the over 3s girls were Princesses. Only the under 3s had different costumes on. Yen doesn't really play with her age group she's most of the time with the older girls. Seeing her today nearly broke my heart they just didn't want to play with her because she wasn't wearing a Princess dress. She looked like a lost sheep and eventually walked over to me and said she didn't want to be Doc anymore she wanted to be a Princess. I felt so bad but had to reassure her it was ok to be Doc and it doesn't matter if you look different everyone can't be a Princesses. I told her look D (a girl) is in a Spider-Man outfit and she was playing with the boys it's alright. After about five minutes she was fine and as soon as they played in the garden they were all playing together once again. I've never experienced anything like that with Yen I felt helpless but I can't wrap her in cotton wool. She has to learn she can't always have everything her way. Overall today went really well. Two parent's came in to read stories to the children. 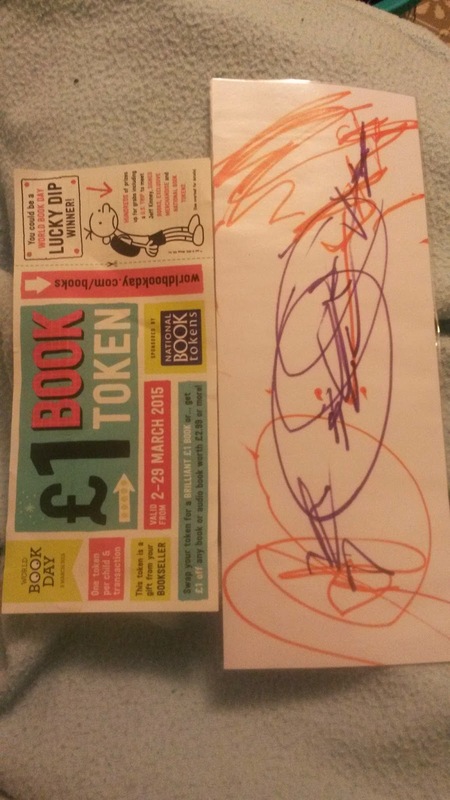 The children made book marks and they all received a £1 book token!!! My new addition to my tattoos!!! Technology and a 2 year old!!!! Relaxing bath before the monster wakes up! Getting ready for the sun with tie dye!!! !